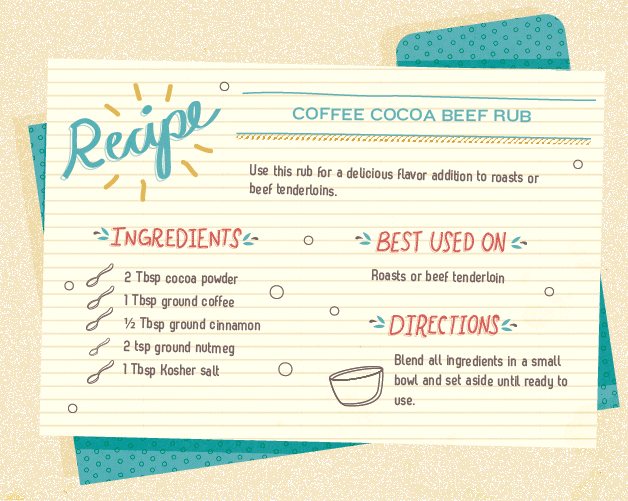 The flavors of coffee and cocoa work amazingly well with beef because they add additional savory tastes. Use this rub for a delicious flavor addition to roasts or beef tenderloins. Directions: Blend all ingredients in a small bowl and set aside until ready to use.